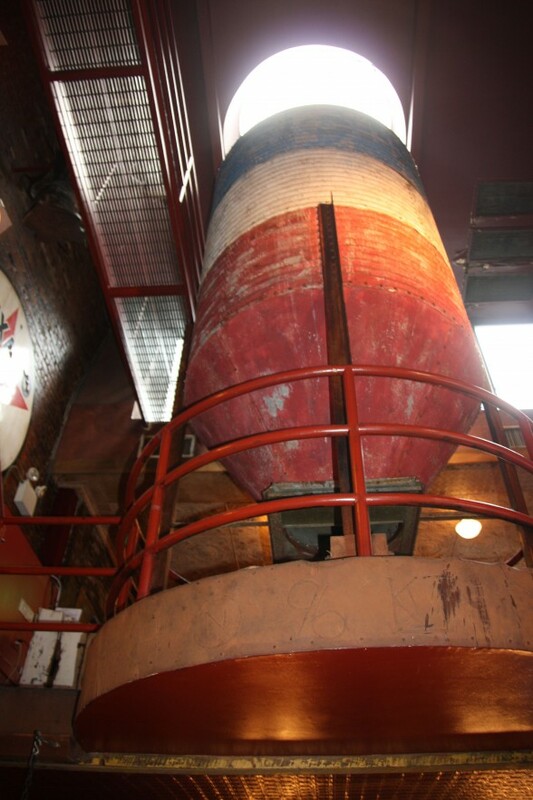 As we walked in, Eric immediately noticed and talked about the big bar and its rustic style. When he looked at the floor, his reaction was very spontaneous: “There are peanut shells on the floor!”. The peanut shells had been there from the previous night, because guests eat and drop them on the floor while they enjoy their drinks. 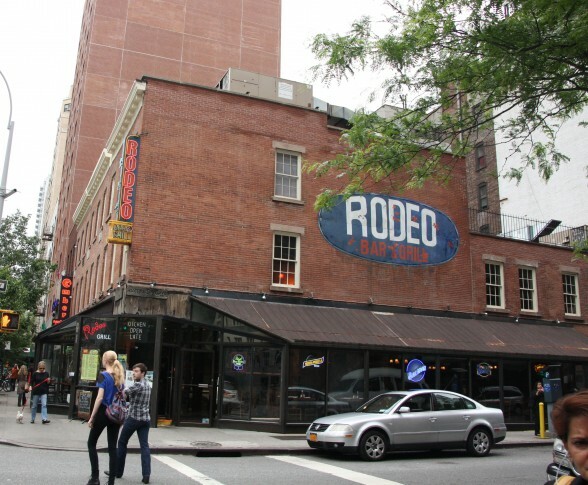 It’s kind of interesting to be inside Rodeo Bar, a place that doesn’t look or feel like Manhattan at all — not Manhattan as you know it –, and, at the same time, be able to see the Third Avenue street sign showing “yes, it is Manhattan outside”. You feel almost like you’re in a Broadway theater, whose theme for decoration is — in my words — “our Texas within”. A few weeks ago, Eric and I went back to Rodeo Bar for another meeting and to celebrate the good standard of quality of our cultural magazine. He’s been a writer/editor for Viva! for a year now. We took the same table and ate the same food we did back in 2011. This year, we actually ended up eating more appetizers than last time — because they’re so delicious! — , among them beer battered onion rings, chicken fingers, and shrimp and jalapeño peppers wrapped with bacon. We also enjoyed some frozen strawberry margaritas. 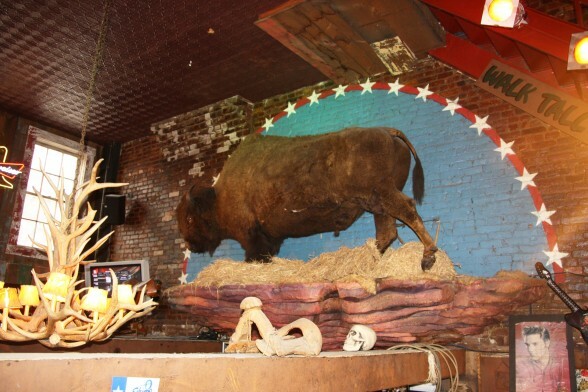 Don’t wait too long before you go dine at Rodeo Bar. They also have live music in the evenings, you can see the schedule on their website (listed below). 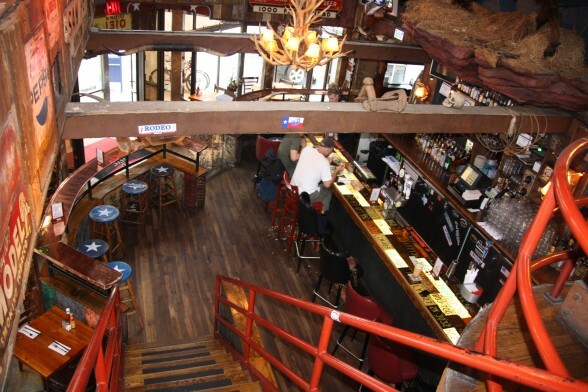 View of Rodeo Bar & Grill from upstairs. 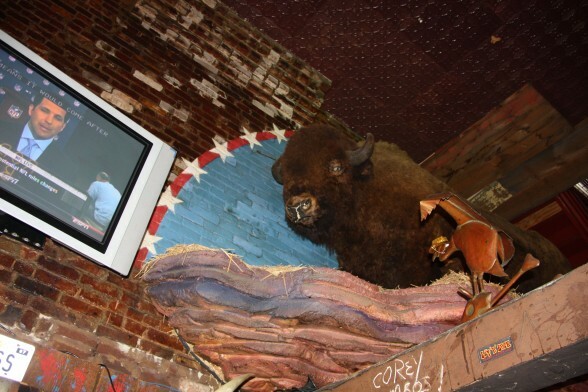 Buffalo seen from first floor.